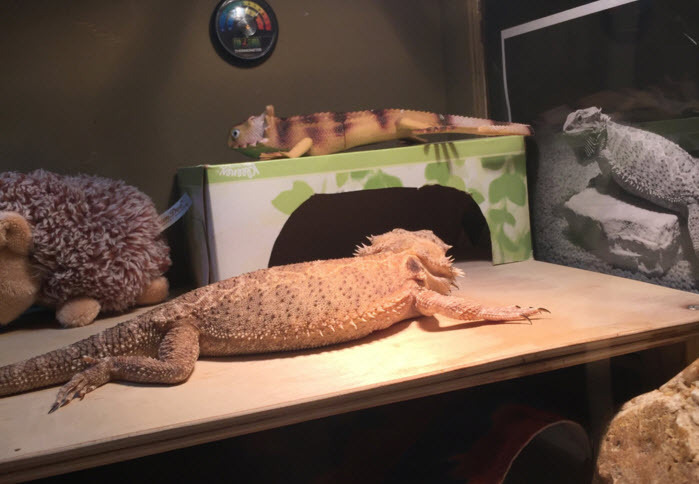 Turn an empty tissue box into a house for your bearded dragon! Get an empty tissue box and cut off the top of the box. Cut out a half-circle from the front of the box to create a doorway. Double check that all glue has been removed from inside the box. Set the box in your pet’s cage upside-down.